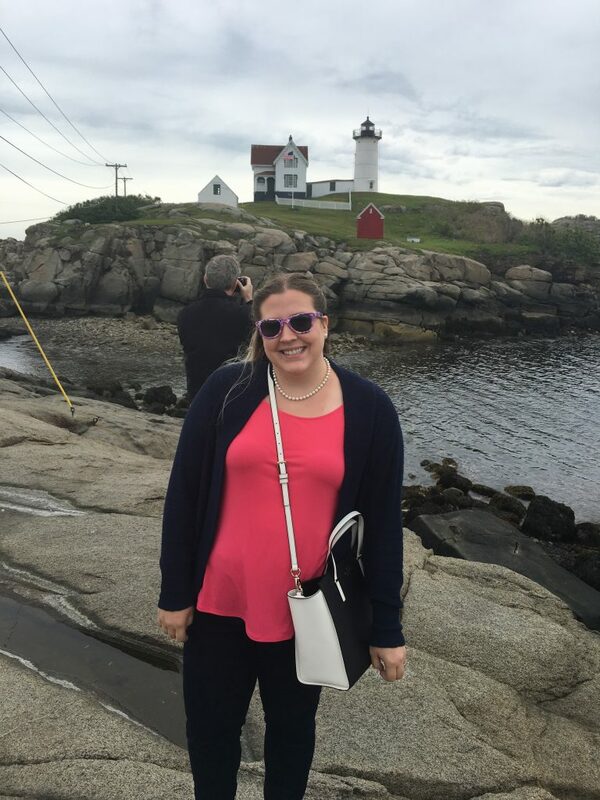 Day 2 of my Boston trip, Anna-leigh said we could go check out this light-house that was really cool as well as a coastal town she though was cool. I was all for it because I’d fallen in love with the area day 1. 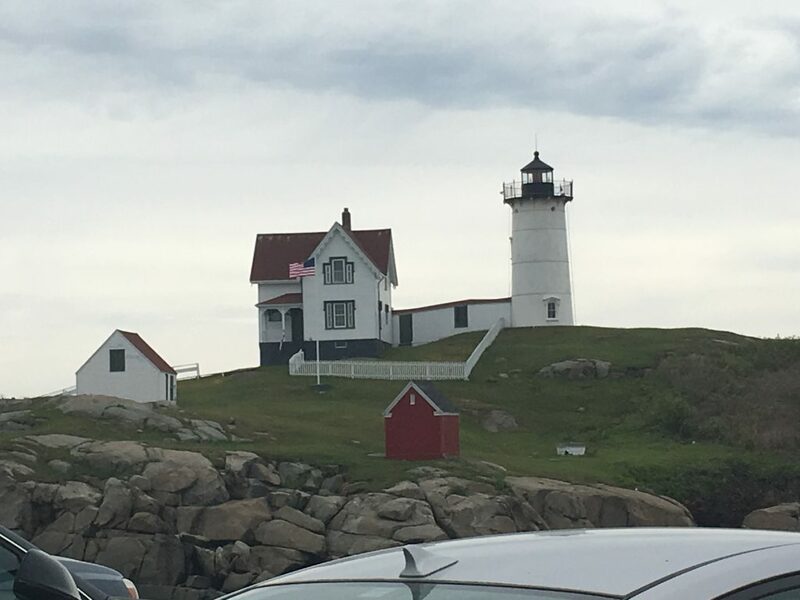 We headed to York, Main to look at Nubble Light-house. It was a cool drive getting to see the coast! It was super cold that day, and being that it was June and I’m from Alabama, I was not prepared! Seeing the light-house was so worth it though! I’d never seen a light-house like that before, and I loved it! We were able to get some awesome pictures! We also got to see some lobster boats checking their traps and laying new traps! A very cool thing to see! Next, we headed into York, to go to a candy store! 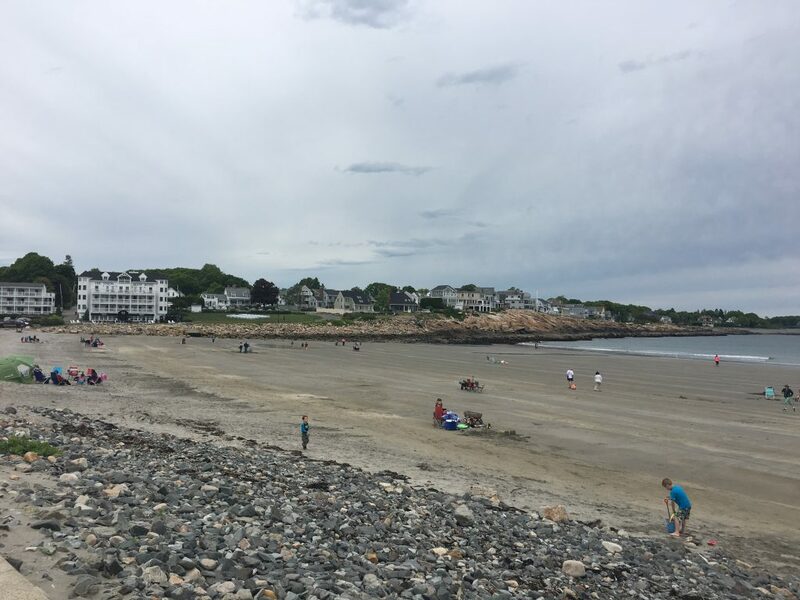 We parked and walked over to the beach because Anna-leigh wanted me to see a New England beach. I didn’t quite understand why she wanted me to see it until I did! 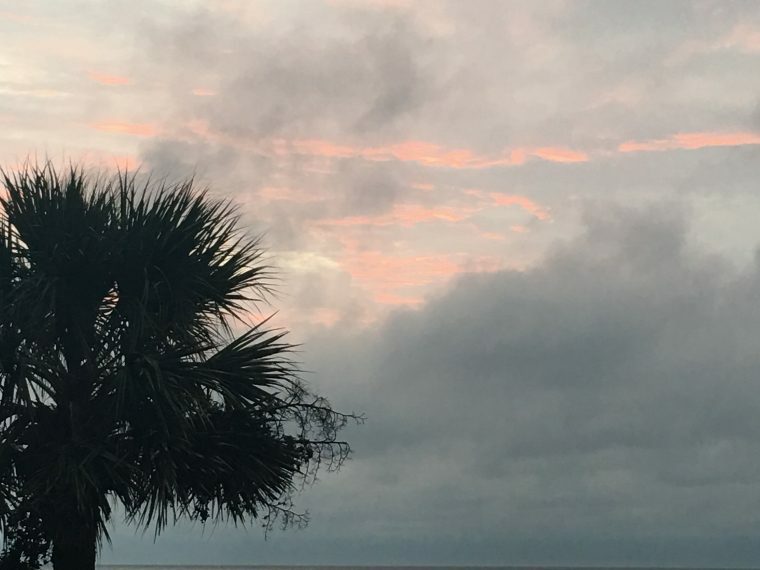 Again, as an Alabama girl, the gulf is the beach. When you say “the beach” I think white sands and blue water and the gulf! This beach was nothing like that!! First, the beach was huge! I mean literally, the sand went on forever! The water seemed super shallow, and there was just a reeeaaaalllly long beach! The sand was also grey looking. The biggest thing to me was it was freezing! I didn’t even go near the water because I was standing in the parking lot and knew it was cold. You better believe there were people at the beach and swimming in that water though!! We headed over to the Goldenrod for some salt water taffy. Anna-leigh and her husband had been there before and said we just had to go! It was the cutest little old-time candy shop! They made the salt water taffy there! You could get it by the pound in whatever flavors they had available. I chose several of their flavors, but was sure to get some blueberry because Anna-leigh said that’s a New England thing! Seriously, it was the best salt water taffy ever! 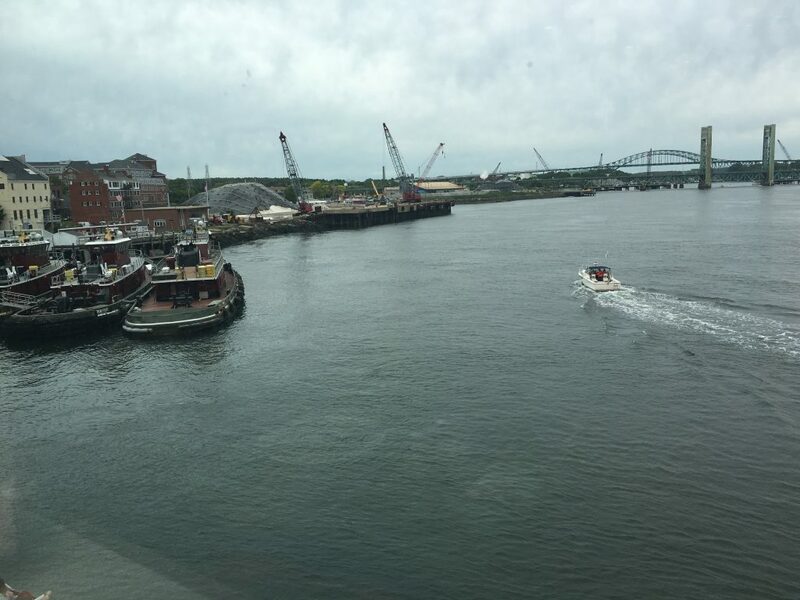 After we got our candy stash we headed towards Portsmouth (pronounced “Portsmith”), New Hampshire. 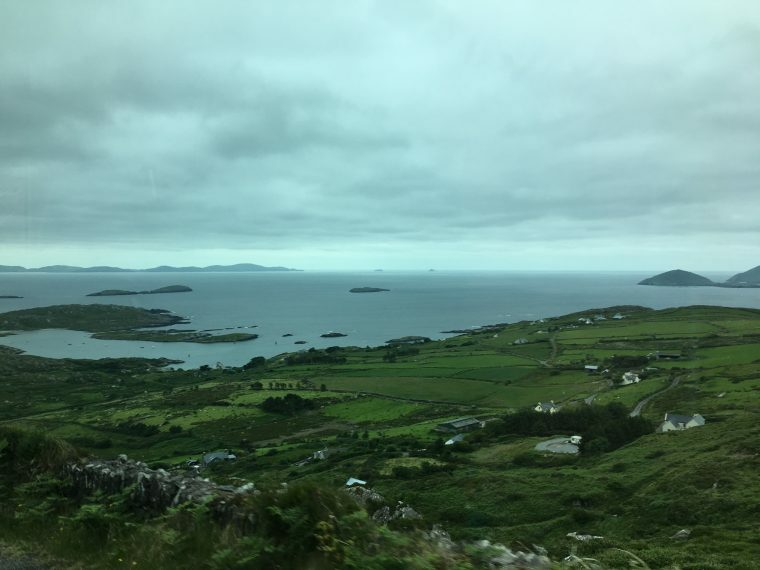 (When I first got to MA, Anna-leigh told me they pronounced the names of the towns funny, and they sure did!) 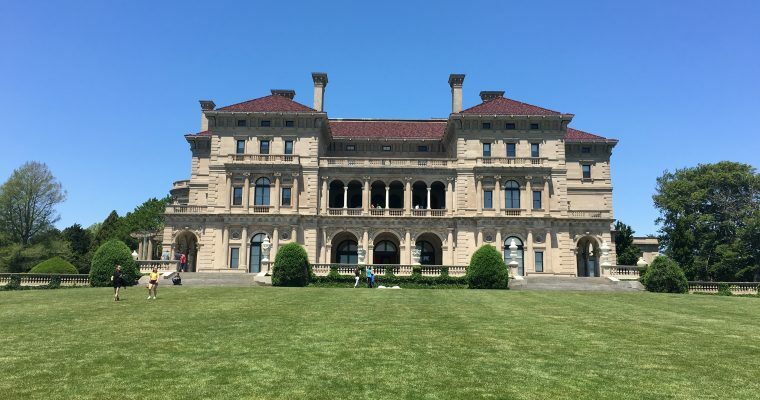 She said Portsmouth was just a cool coastal town, and it didn’t disappoint! 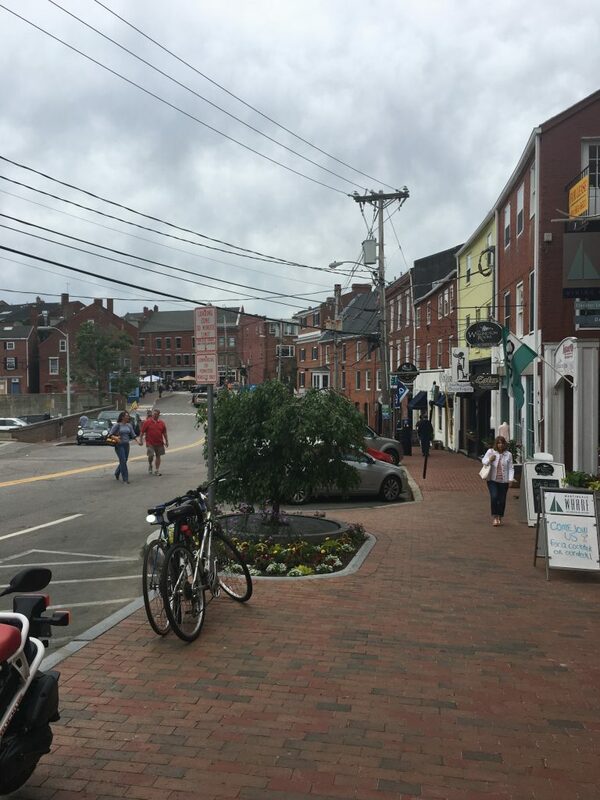 As we were walking down the sidewalk trying to decide on a restaurant for lunch, I was already taken with how charming what I could see of the town was! We decided on a restaurant, and were delighted to get a table with an awesome view! 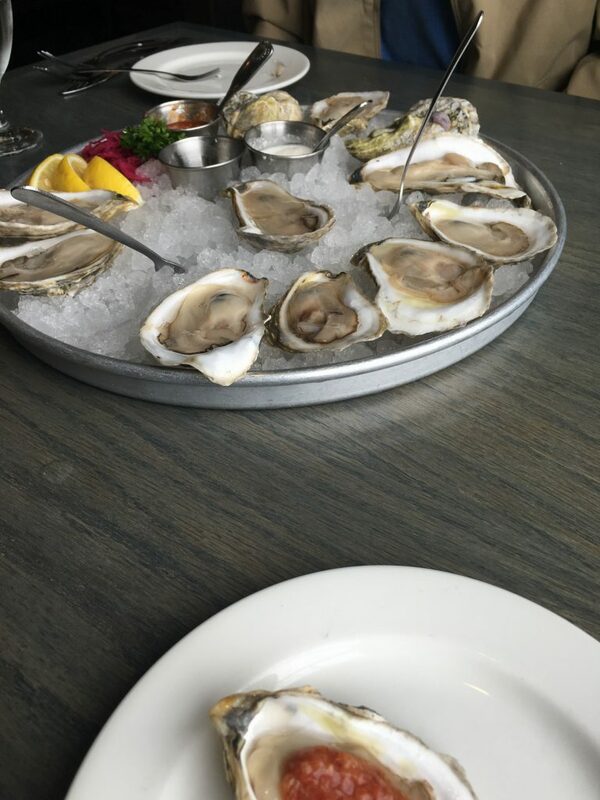 Anna-leigh and her husband had come to love oysters living in New England, and they got enough so I could try one. Admittedly, I chose the smallest one on the plate! I put the cocktail sauce on it like they showed me, and then Anna-leigh’s husband ate his to show me how. I slurped mine down like he had. Honestly, it wasn’t bad! I didn’t want another one, but it was pretty alright! 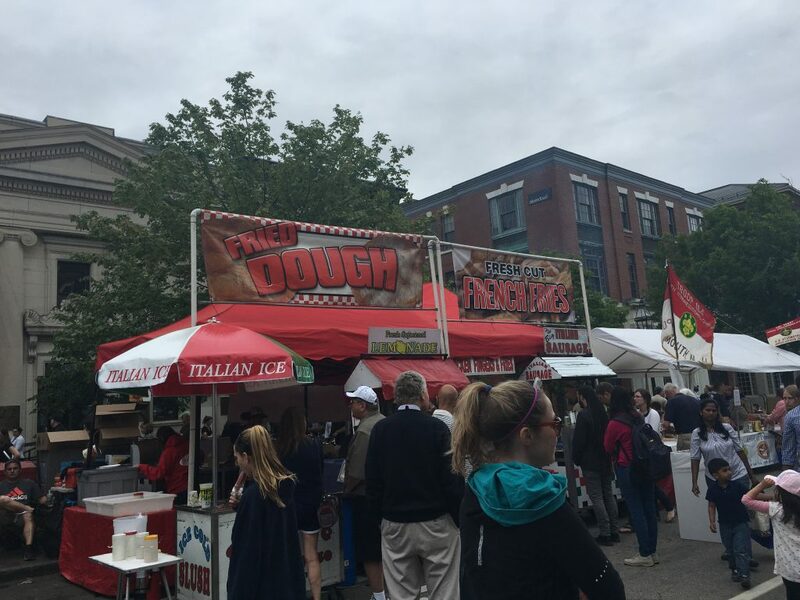 For lunch, I tried clam chowder and a lobster roll, both were on my list of “New England” foods I wanted to try! It was SO good! 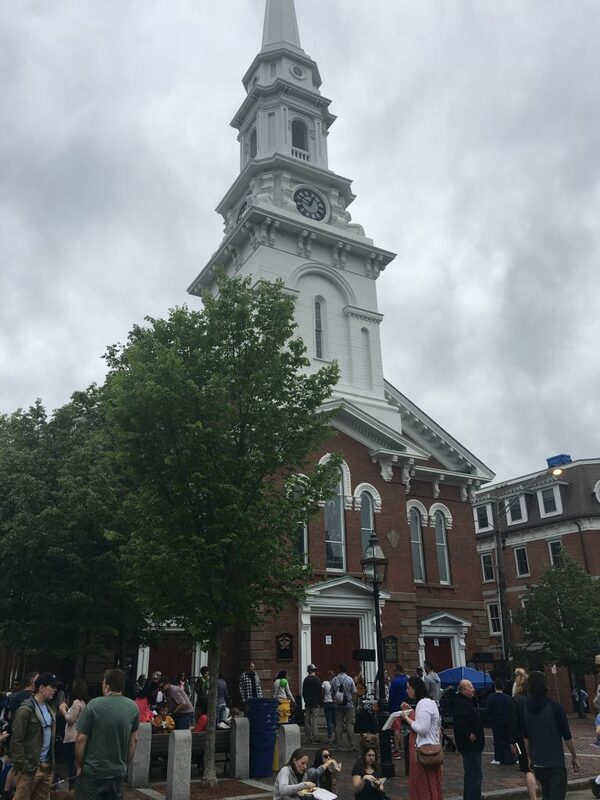 After lunch we decided to walk around Portsmouth, and to our delight, they were having a little town event! 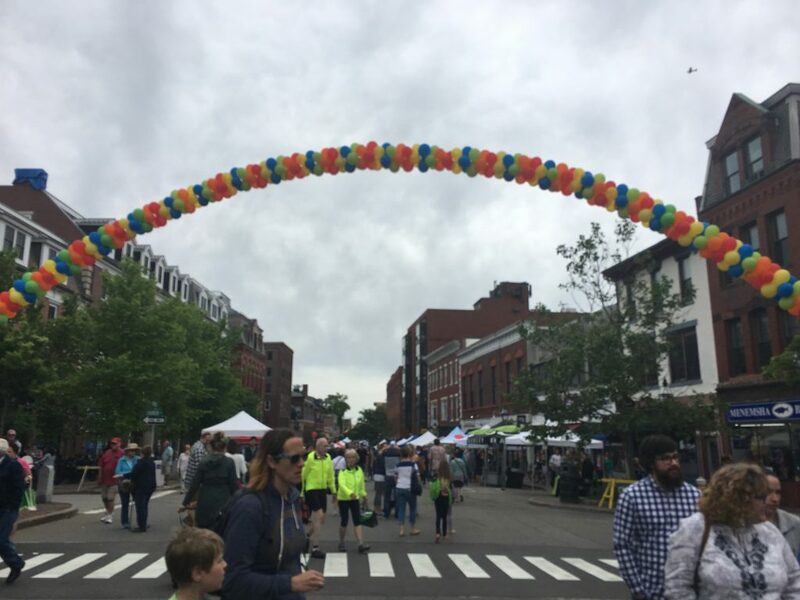 I kept calling it the Portsmouth “Madison Street Festival” because it reminded me most of the Madison Street Festival, which is an event in my hometown. There were tents lined up along the streets with vendors selling things and giving out information. We all got baseball hats from the hospital’s tent! They also had music going and food tents available. Anna-leigh and I found a store selling vintage Lilly Pulitzer, so of course we had to go in and check it out! 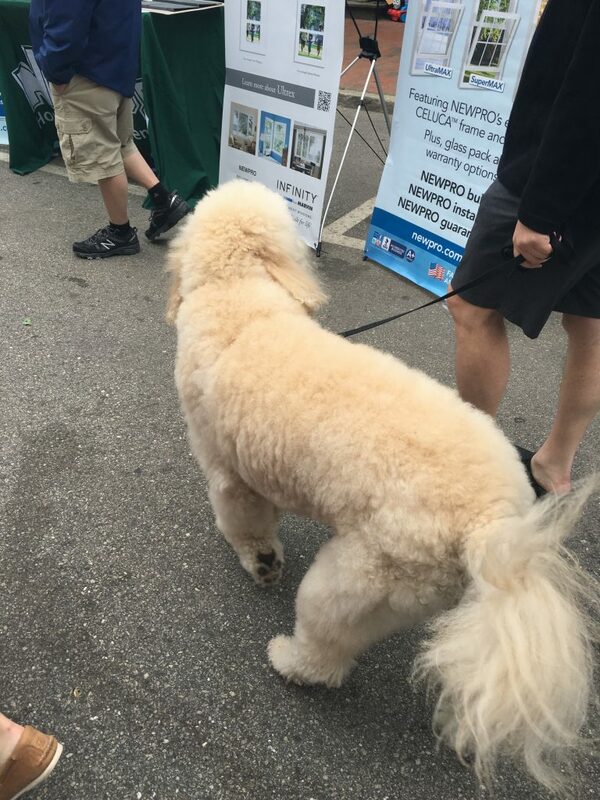 I flipped out when I saw a goldendoodle at the street festival! I stalked him for a little bit and was able to pet him and snap his picture! Anna-leigh was laughing at me so hard about this! She said all she needed to do was take me to a dog park where I could see dogs and I’d have been happy! Apparently going to an ice cream shop is also a “New England” thing to do, so of course I couldn’t leave my new favorite New England town without visiting one of their ice cream shops! The ice cream did not disappoint! Afterwards, we decided to head back because it had started to rain. Another thing that I was surprised by is how close everything is up there! We were in 3 different states in one day!! I mean I’m sure I could have looked at a map and figured it out, but it was so much more fun to learn in person, haha! I was also surprised at how surprised I was to learn that, like didn’t I ever take a geography class before?! That evening we went up to Andover, MA to grab pizza at a place Anna-leigh and her husband recommended. We also walked around Andover and checked out some cute shops! 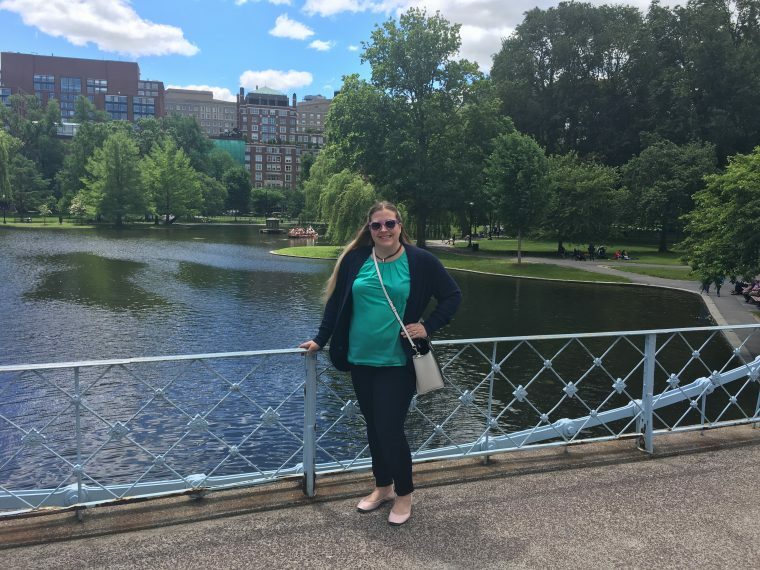 I had so much fun exploring the New England area with Anna-leigh and her husband! I definitely want to get back up to the area and take Stephen around to see all of these same things! 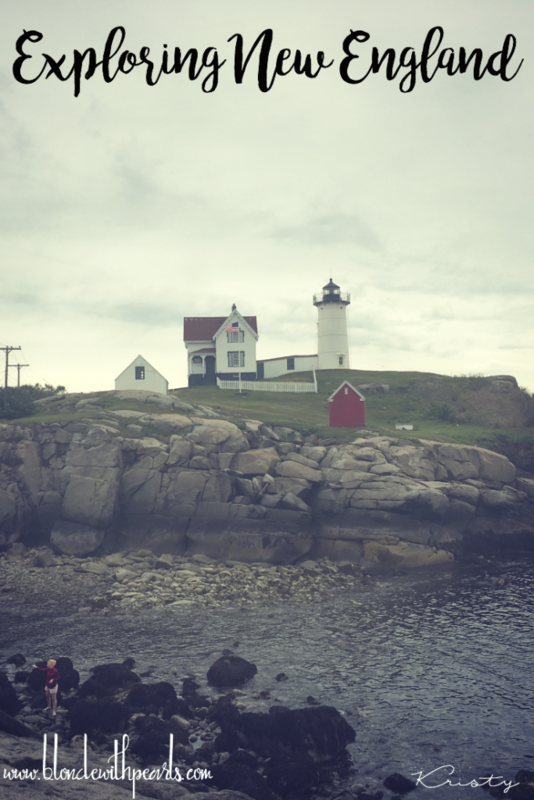 Have you been to New England? What is your favorite little town?